Find a table that’s wide enough to straddle your rise and recliner armchair, keep fit with our easy-to-use Pedal Exerciser, and get comfy with our Cardiff Legrest. 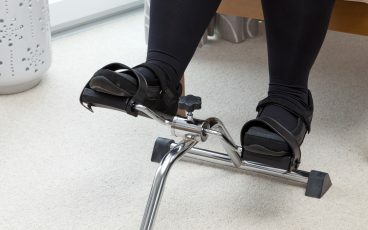 Ideal for gentle upper or lower body exercise to assist with circulation, co-ordination and muscle strength. Legrest with padded concave top. 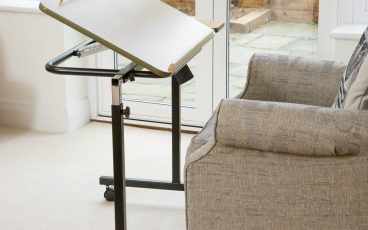 Independently height-adjustable legs for optimum comfort. 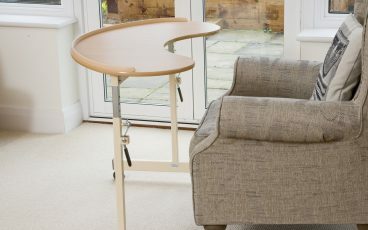 Height-adjustable wheelchair and armchair friendly table with large table top surface. Height, width and angle adjustable table with locking brake castors. 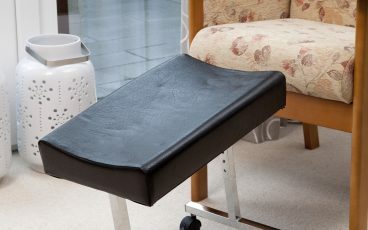 Ideal for use with rise and recline armchairs, or over single beds.